If you are like most people in Hamilton, OH you have probably determined how economical the use of vents are over powered methods of cooling such as air conditioners and swamp coolers. The bottom line is that despite the fact that these methods do cost less than central air to operate, they are still powered methods that can end up being expensive. Fortunately, in the past few years, powerless methods have been developed that are not only economical to use, but in even more recently times, they have become virtually invisible. Such is the case with ridge vents. 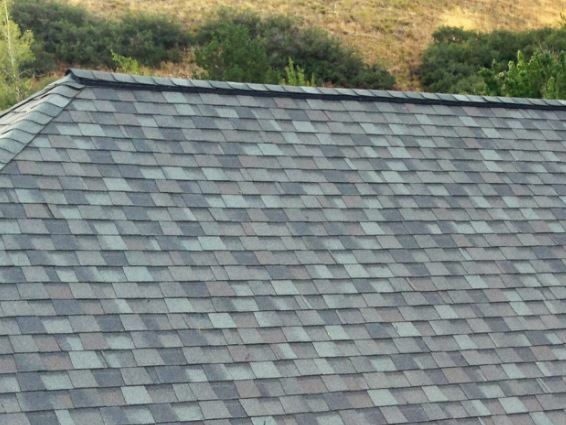 A ridge vent is an opening that has been created in the ridge of a roof that has been covered by a grate, which is in turn covered by shingles over the ridge vent or whatever other type of roofing materials are used. In effect, what happens is that you create a vent that runs the entire length of the roof's ridge line. Just as is the case with any vent in your home, ridge vents operate on the principle of rising thermals, since heat inside the attic or other parts of the home rise to escape through the vent. The net effect of the ridge vent is that it is not only larger than traditional vents, but they are practically invisible as well. At Hamilton Roof Pros roofing is our business. We are experts at all types of roof materials, including ridge vent installation. For the past several years, ridge vents have proven themselvesas practical and cost-effectivealternatives to traditionalvents. Instead of having large silver spinning vents on your roof, now you can have roof vents on the gable, which is not seen, as opposed to an eyesore for traditional vents. Roof vent ventilation is much more effective at keeping down the heat in your home and attic. Ridge vents gables blend in with the rest of your roof so you don't have to look at stand alone vents. And as far as a ridge vent attic, it's cooler inside since any hot air trapped inside is quickly released outside of your home. Just as is the case with so much other craftsmanship, if you decide that you would like to see roof vents installed on your home, the craftsmen of Hamilton Roof Pros will do it right. Not only do they use the materials that are recommended for the job by the manufacturers, but they use the procedures recommended for setup by the ridge vent installation guide. This serves as your guarantee that every warrantythat the manufacturer makes will be carried out during the installation to your home. This means that you will end up with the best ridge vent products available. Before you make any decisions about your roofing needs, you owe it to yourself to contact Hamilton Roof Pros. We have been in business for several years in the Hamilton, Ohio area. That means that the same quality of care we have always worked with in the past you will benefit from now.